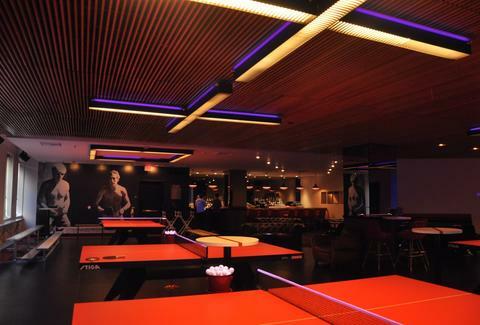 This membership-available ping pong club (with locations in NY and... Toronto?) is oddly co-owned by Susan Sarandon, and less-oddly equipped with 11 professional-grade tables (and an exhibition court, naturally) where they'll throw open-to-the-public events including matches between legit pros. They've also got amateur tournaments, kilt-wearing ball-girls, a cash bar, and snacky food (like bahn mi) from a dude who's on Top Chef at this very second.